Suitable for inserting into a wall. Simple cost-effective means of storing up to two bikes indoors. Steel construction with Red painted finish and moulded plastic coated sleeves to protect cycle frames. To save space, arms can be folded upwards when not in use. 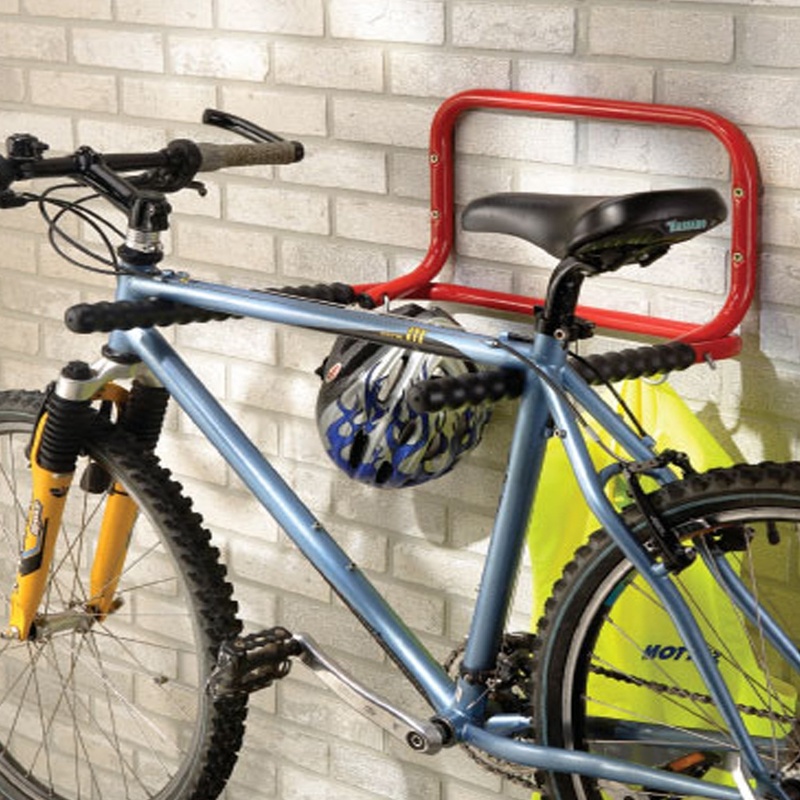 Unit includes two handy hooks to store cycle helmet, hi-visibility jacket etc. Wall fixings are available to purchase separately.